Sprawling across the internet are a wide variety of strange video game stories – ranging from hacked to haunted game cartridges, and mysterious arcade games that control the players mind. Some of the stories seem legitimate, although there is much speculation as to the true authenticity of these games. We’ve collected a couple of our favorite examples below. 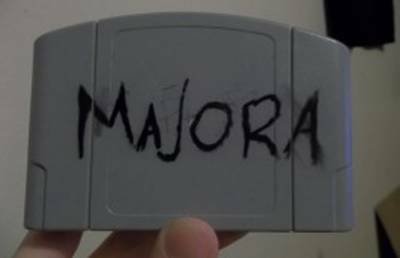 Back in 2001, a story surfaced on the internet about a user known as “Jadusable” who, while perusing through a box at a yard sale, found a blank Nintendo 64 cartridge labeled only with “Majora” scrawled across the front in black ink. He bought the cartridge from an old man and returned home. Upon starting the game, he found a save file named “BEN” which he deleted before starting his new game. After beginning the gameplay, strange things started occurring. 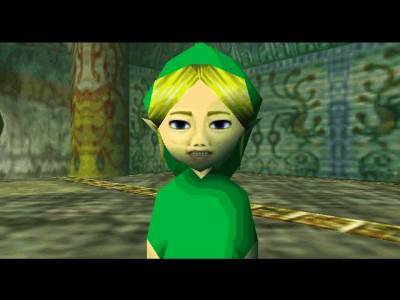 While running around, Link would spontaneously combust into flames while the “Song of Healing” played backwards, and the sounds of creepy laughter filled the soundtrack; at a certain point, a strange statue of Link would follow him around everywhere. Characters appeared to be drowning and strange gibberish language would come out of nowhere. 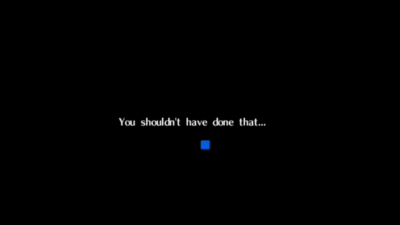 The classic phrase: “You shouldn’t have done that…” is repeated throughout the gameplay randomly with many references to a certain person: Ben. Feeling strange about what he was experiencing in the game, Jadusable returned to the house where he bought the game. The old man was gone and the house emptied. He asked a neighbor what happened and they told him the old man had moved away shortly after having the yard sale. When he inquired if they knew anyone named Ben who used to live in the same house, they said no – however, they did knew the man had a son who had tragically drowned in an accident a year earlier. The player returned home in shock, feeling distressed at the fact he had deleted the save game file. After playing the game a bit further and entering an underwater level, the game froze; when Jadusable reached the main menu again after restarting, there were suddenly two saved games: one labeled “BEN” and the other labeled “Drowned” – It seems Ben may have gotten a bit pissed about his early demise, and now haunts the cursed cartridge for the rest of eternity. 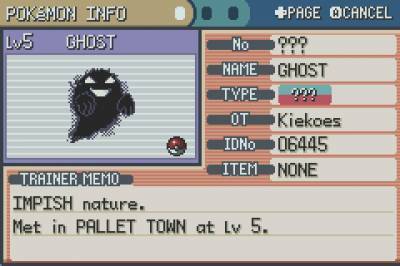 Amongst many subtle changes to the game play was the fact that no other Pokemon could attack GHOST. 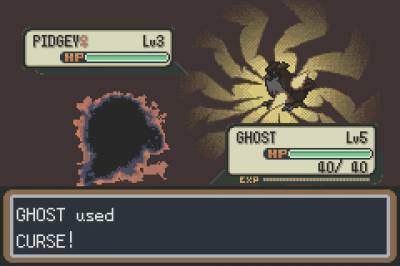 The screen would display they were “too scared to move.” After attacking with “Curse,” the screen would cut to black and the dying cry of the other Pokemon would be heard, although now distorted and distant. When the screen re-appeared, the opposing trainer would have one less ball (implicating that their Pokemon had fully died). An even stranger glitch allowed the battle to continue on after all the opposing trainer’s Pokemon had been killed. Upon selecting the “Run” command, you can exit the battle like normal. However, if you wanted to select the “Curse” attack again, upon returning to the main world view you would see a tombstone over the site of the murdered trainer. 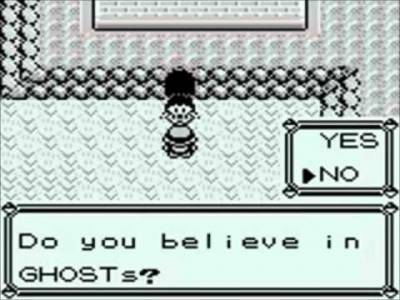 The game has a few more strange features, including a twist ending allowing you to play as yourself many years later as an old man, revisiting your home town and being forced to listen to a creepy loop of the “Lavender Town” theme song. 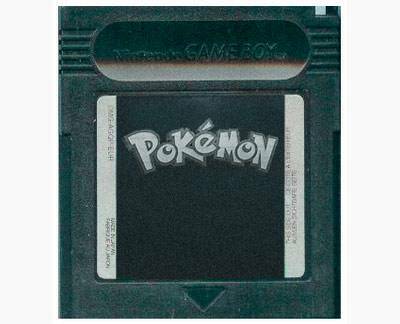 You’d be forced to watch a film of all the Pokemon and trainers you killed along the way, and then the game would cut to a black screen once more, erasing your saved games and forcing a full restart.